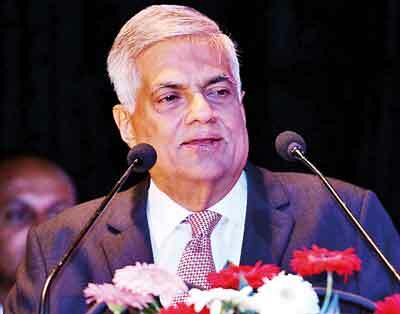 Prime Minister Ranil Wickremesinghe will leave to Singapore today to deliver the keynote address at a high profile investor forum organised by the Colombo Stock Exchange (CSE).Sri Lanka’s first investor forum for 2018 will be held in Singapore on 2 March, with Prime Minister Wickremesinghe spearheading the quest to woo more investments from the city-state and fund managers, on the back of a landmark Free Trade Agreement (FTA) signed last month. The one-day ‘Invest Sri Lanka’ forum will be held at the Four Seasons Hotel Singapore with Premier Wickremesinghe delivering the keynote address, and an impressive line-up of speakers, along with the participation of top Sri Lankan companies. It is organised by the Colombo Stock Exchange, the Securities and Exchange Commission and the Sri Singapore Lanka Business Association. The listed Sri Lankan companies participating are JKH, Commercial, Dialog Axiata, HNB, Hemas, Sampath Bank, DFCC, NDB, Access Engineering, Tokyo Cement, Seylan, Lion Brewery, Softlogic, Sunshine Holdings and Walkers CML. The event is part of CSE’s overseas road shows, which have triggered robust foreign portfolio investments to the Colombo stock market.